Covidien has obtained European Economic Area (EEA) CE Mark approval approval for its Puritan Bennett 980 ventilator, which helps patients to breathe more naturally through some of the most innovative breath technology available. The Puritan Bennett 980 ventilator system has been designed to be simple, safe and smart. The new acute care ventilator is for patients ranging from neonatal to adult. Advanced synchrony tools of the device help clinicians set the ventilator to adapt to their patients’ unique needs and help provide the appropriate level of support throughout the breath. 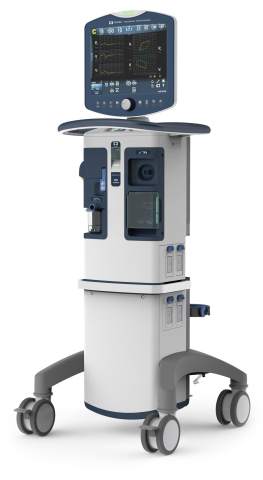 Covidien Europe president Cristiano Franzi noted the company is excited to introduce its next-generation acute ventilation platform, the Puritan Bennett 980 ventilator. "Building on Covidien’s strong legacy of innovation, the Puritan Bennett 980 ventilator will provide clinicians with a simple, safe and smart way to care for patients," Franzi added. Covidien has obtained approvals for commercial distribution in the US, Japan and Canada. The device will be available for sale in those countries as well as the EEA in the coming months.